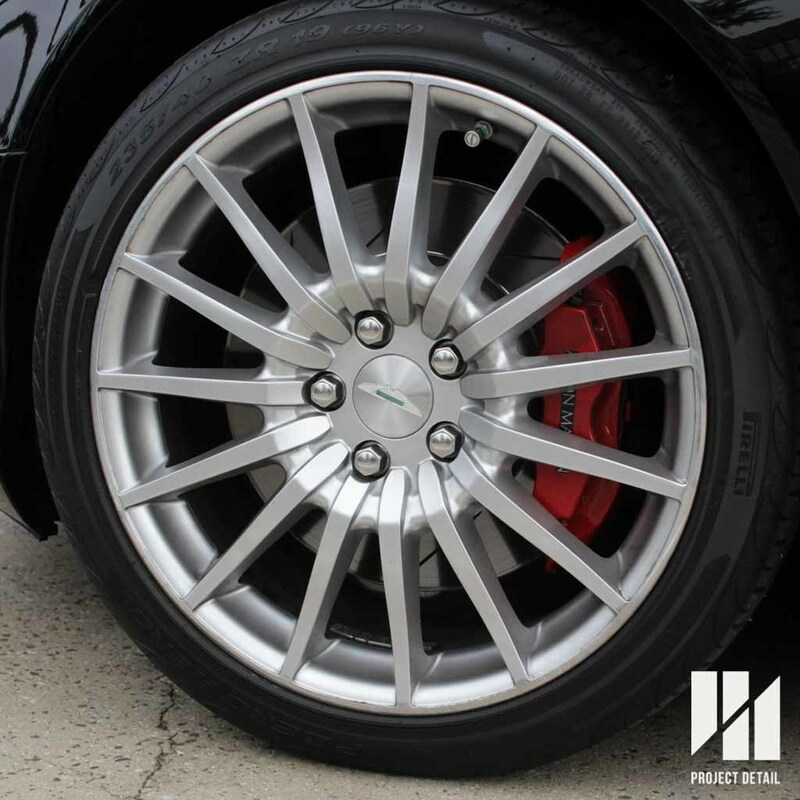 Cleaning the wheels is as important as any other part of your car and majority of the car owners tend to neglect them because cleaning them would be quite a nasty job from all the brake dust. Especially on European cars or vehicles with expensive and/or custom wheels. There are many ways to clean your wheels. Today at Project Detail Studio, we are showing you our way of cleaning them, as part of our 21-Stage Wash and Decontamination. Just like any other car care product, there are many different types of wheel cleaners. These vary in strength and also their ability to clean as well. Traditionally, wheel cleaners exist in either an acidic format or an alkaline format. They are both extremely potent and can be diluted into different strengths. For the weekend warrior or even professional use, we recommend using as close to pH neutral if possible as this greatly reduces the risk of chemical burn or damage to wheels. Thankfully, nowadays there is a new type of wheel cleaner which relies on an exothermic reaction to break down iron fallout or brake dust buildup. These are generally called iron removers, fall out removers etc. But they rely on that reaction which visually turns purple to show its come into contact with any ferrous materials. This type of product is generally much safer that anything acidic or alkaline based. Wheel Woolies are a great addition to any detailing collection, allowing deeper cleaning. What you'll need in order to clean your wheels properly and safely. Fill up the bucket with clean water, rinsing all your wheel brush or woolies with bucket so you'll have a fresh start. Valet Pro Car Care Products - Dragon's Breath is a fantastic wheel cleaner in a gel format. 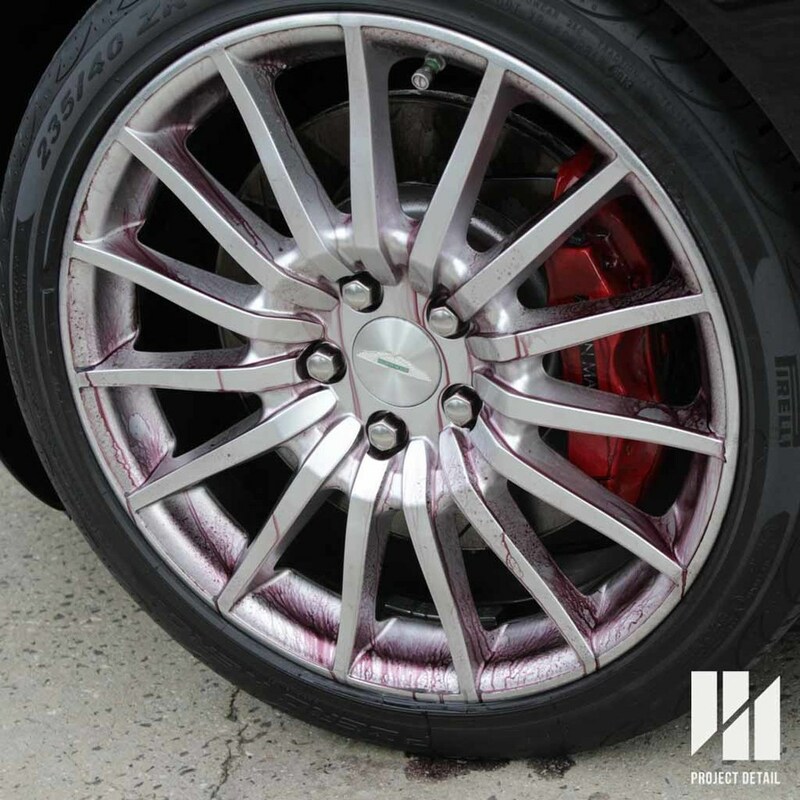 Start by spraying your wheel cleaning agent onto the wheels, ensuring a full coverage including the inner wheel. If its a iron fallout remover, it will turn purple for any brake dust particles. Let it dwell for a couple of minutes until the product has broken down all the dirt. Note - an iron fallout remover with additional gel consistency will stick on the upper arches and not run, allowing better overall cleaning. As the Dragon's Breath reacts with the Ferrous Particles, it turns purple breaking it down. Using your wheel brush or wheel woolies to agitate and clean the wheel surface, including the inner barrel or the wheel. Ensuring all surface has been covered. Rinse the wheel brush with the bucket you have prepared earlier with clean water. After rinsing, you will find that the brake dust has broken down and rinsed away. Using a high pressure washer, high pressure rinse off the wheels. Inspect for any more dirt on the wheels. Repeat as necessary. Pro Tip - Move the car half a wheel forward or back to check and clean the other half of each wheel thoroughly. We hope this article helped guided you on how to clean your wheels properly. For any questions regards to car detailing, feel free to contact us here.